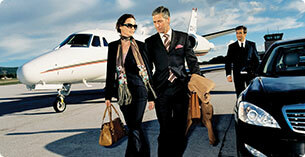 We provide airport limousine services only for airport transfers in Sydney . With BookALimo, you don’t have to worry about the timing of your trip because our chauffeured limousine service will make sure that you always arrive on time. Contact us and avoid all taxi queues and hassles of driving and parking your own vehicle at the airport. At BookALimo,We Provide Corporate Car Hire Services to celebrate your special day with style.Now it’s easy for you to look after business clients and executives with our professional Corporate Car Hire in Sydney. Whether you are planning to attend business function or any other corporate event, we can promptly cater all of your transportation needs. At BookALimo, our main goal is to make sure that you get best service to travel with luxury and style. At BookALimo Sydney we pride ourselves on our professionalism and corporate like the company itself our staff is driven to succeed. BookALimo is one of the Sydney’s leading chauffeured limousine company, which has reputation and history, which makes us perfect and most preferred option for celebrities. Our most of the vehicles have a privilege to chauffeur in all over Sydney with world's most recognizable celebrity faces and names. If you want to live life like celebrity for one single day, we will recommended to you to do your bookings with BookALimo and we will work together to create memorable events for you. 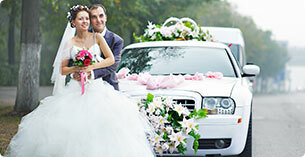 Your wedding should be the most memorable day of your life and with huge experience to in providing luxury wedding limousine services; we have transported thousands of brides and grooms at their destinations. Your wedding day is the most important and beautiful celebrations of your whole life, so let’s make it special. At BookALimo, we leave nothing to chance because we work according to your plan of entire schedule for the day. At BookALimo, we pride ourselves on offering a professional and personalized service, which are in match with individuals need, taste and desire. With wide experience in the business, we are able to provide best services to celebrate your anniversary in style, all you need is to allow us to provide best anniversary and engagement chauffeured limousines. Our goal is to meet your desire and to satisfy you with a memorable experience. At BookALimo, we love to handle special occasions, no matter its birthday, anniversary or just another romantic evening with someone special. 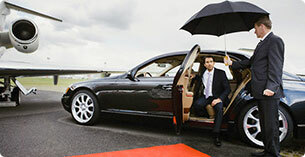 Allow us to take care of all the transportation arrangements because with our chauffeur all you need to enjoy the ride. 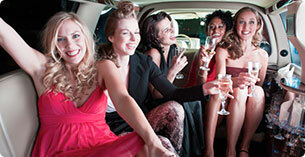 If you are planning to celebrate your birthday with style and comfort, allow us to provide you a chauffeured limousine. Let us take you at your desired destination and while traveling all you need is to relax and enjoy your birthday celebration with family or friends. If you have parcels and you want to deliver it in royal style, at BookALimo we will do that in a splendid fashion. Our well groomed and stylish chauffeurs with luxury vehicles will collect your parcels and deliver the same at assigned addresses on mentioned time without any hassle. 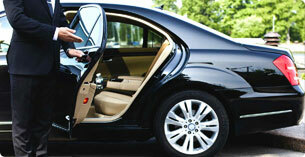 If you wish to track the chauffeurs, so you can call them to know their position with your item. At BookALimo, we believe to provide personalized way for parcel delivery with fast and efficient service. If you are planning for pleasure trip with family, friends or someone special, give us opportunity to arrange a whole trip for you. Book our luxury vehicle and our seasoned chauffeurs will drop you at theatre, restaurants or on other special places in royal style. With our elegant vehicles, you can arrive at your desired destination in style and you can avoid the parking hassle. 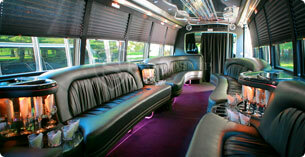 At the end of schedule you will be chauffeured to your home in comfort. At BookALimo, we also provide day tours. Our chauffeurs will pick you from your home and take you on a dedicated, personalized tour of Sydney city. Our tours are specifically designed to match with individual’s interests and requirements, no matter you want hourly, daily or dedicated tour. At BookALimo, we have professional, courteous and well-presented chauffeurs, who will help you to see the major landmarks of city as they have intimate knowledge of the local area. If you are looking for unique experience because you want to watch and cheer on your favorite Cricket or Rugby team at Allianz Stadium or Rebel Sport - ANZ Stadium or Campbelltown Sports Stadium or Pepper Stadium, contact us and we will provide you pick up and return service from agreed location. From mesmerizing scenery of the Blue Mountains to the stunning coastline, serenity of the national parks to the world famous Opera House, if anything you want to see in stylish way, use our Limousine service for intercity travel or to travel cities within close proximity like; Canberra, Wollongong, New Castle, Orange and more. Bookalimo can help you to explore this lovely city in royal style, all you need is to book and aboard on one of our luxury vehicles and let our professional chauffeurs to show you everything which Sydney has to offer. At BookALimo, our experienced chauffeurs know this city inside out because it has so much to offer.